A summary of my experience participating in my 2nd 3 Day Startup Program. 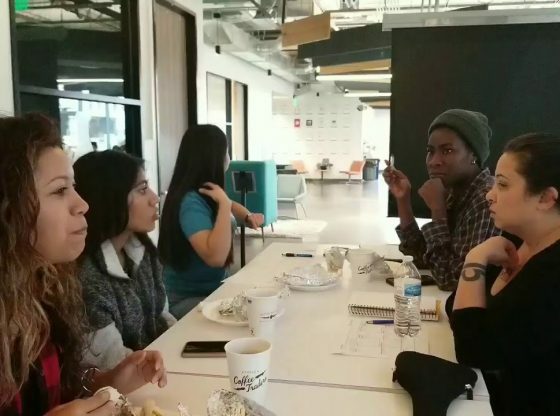 This one was hosted by the Inclusive Innovation and Entrepreneurship Office at the University of Texas at Austin for the first ever Inclusion Innovation Week held November 2018. The office of Inclusive Innovation and Entrepreneurship at the Division of Diversity and Community Engagement at UT Austin will focus on addressing the income inequality gap for overlooked communities by helping them learn the tools of wealth creation, innovative thinking, community stewardship, and social impact. Jenn Rangubphai is an entrepreneurial handy-woman, a creator, and an educator. She is currently seeking to travel the world helping, healing, and creating. Sana Solis Team: Austin Larson, D’azhane Cook, Yesenia Rebollar, Jennifer Gonzalez, Krisha Patel. B-Hive is a European fintech ecosystem. Based in a co-working space in Brussels, we organize events and facilitate matchmaking for startups and scale-ups, and in turn offer interesting technologies for financial institutions and insurers. sTARTUp Day brings together over 100 world-class speakers and 4000 attendees to discuss business, innovation and new technologies, share startup success stories and lessons learned. I’m excited to share the news that this year’s Lean Startup Conference has a time and place: October 23-25 at San Francisco’s Palace of Fine Arts. I always get so much from from spending time with Lean Startup practitioners of every kind, and I love how the conference has grown from its early days. Startup Weekend HackOut is the world's only LGBTQIA-themed Startup Weekend event!. The hardest part of starting up is starting out, and the purpose of this event is to inspire potential entrepreneurs in the LGBTQIA community to learn the ropes of validating an idea for a startup or lifestyle business and turn that idea into a business venture. Drew Houston is the CEO of Dropbox, a file sharing service that has more than 500 million users. Houston cofounded the company in 2007, when he was 24, with MIT classmate Arash Ferdowsi. Apply for Techstars Boston, a startup accelerator program providing access to investment, mentorship and collaboration with other top entrepreneurs.